GN Solids Control has been providing decanter centrifuge for a long history. 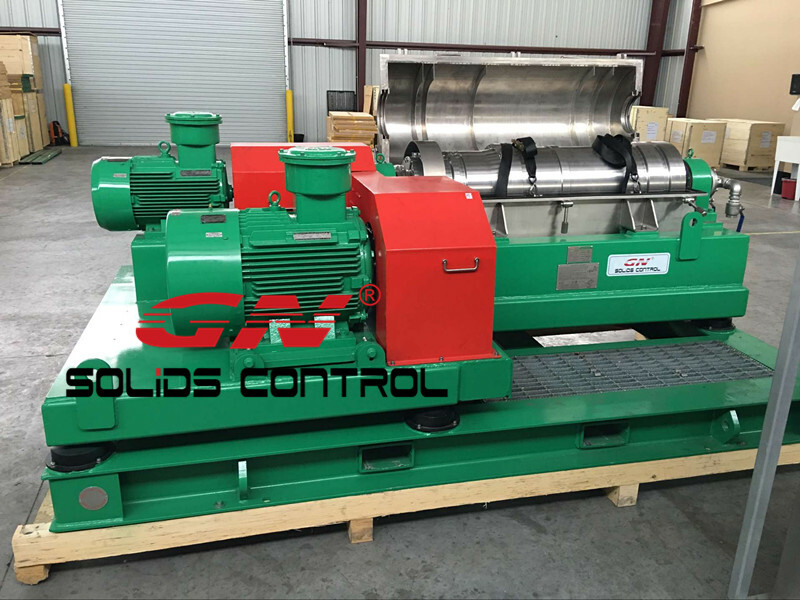 GN Solids Control has been delivered more than 200 sets decanter centrifuges to oil and gas customers. Besides decanter centrifuge, GN Solids Control also manufactures solids and liquid equipment like shale shaker, mud cleaner, cuttings dryer etc. Every day, GN Solids Control receives some centrifuge inquiries from the world. Today we would like to share one project with you. As we all know, GN Cleaning Centrifuge Package is used to process un-weighted and weighted, water-base and oil-based drilling fluids (muds). The centrifuge is usually fed by feeding pumps or submersible pumps. Length not more than 3,0 meter. Width not more than 1,8 meter. Height not more than 1,5 meter. Bowl diameter: 14” – 16”. Bowl length: 48” – 50”. Main Drive Motor: 40 – 50 Horse Power. Back Drive Motor: 20 – 25 Horse Power. Feed Pump Drive Motor: 15 – 20 Horse Power. This customer demands main components of GN Solids Control centrifuge consist of the stainless steel gearbox driven assembly, rotating assembly, fluid coupling, feed pump, electrical components such as control panels, control boxes, drive motors, vibration switches, temperature sensors, carbon steel guards, stainless steel cases, abricated carbon steel base assembly and DNV oilfield skid with lifting points for transporting. 2-years spare parts should be provided with the package in order to ensure uninterruptable operations for the centrifuge package. While for the rotating assembly it should consist of a cylindrical bowl (bowl and heads forged of stainless steel to provide corrosion resistance for long life, smooth operation and low maintenance) and conveyor assembly as well as related components. GN centrifuge rotating bowl ends are supported by greased genuine SKF ball bearings.